Impress Blinds presents a wide assortment of quality and cheap window blinds in West London and throughout UK. From classic wooden to stylish Vertical blinds, elegant roller blinds to modern Roman blinds, you can see and choose from our scope of modest window blinds. Offering quality products, services and value for money, we are successfully operating in the West London and delivering best with treatments to all our clients across UK. This is why we have hundreds of satisfied clients in West London and all over in Uk. Whether you need perfect covering solution for your bedroom, kitchen, bathroom, conservatory or even for your office, discuss your specific needs with us and we will provide the made to measure blinds exactly matching to your space that you’ve wanted. We are committed to providing you the best window dressing treatments that reduce the heat flow in summers and heat loss in winters, making your space comfortable all year around. Our cheap window blinds are durable, child safe, eco friendly, easy to clean and operate. It means we provide you the window covering solution that is practical yet beautiful. Moreover, we also offer free advice and measuring services to both residential and commercial clients in West London and across UK so you can choose the best option for your home. We also offer 3 vertical Blind for £79 with free measuring and fitting services in West London and all over in the United Kingdom. 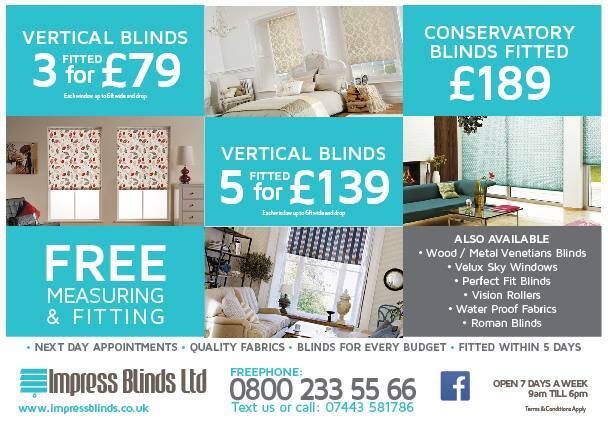 Our cheapest blinds come with 12 months guarantee.